This weekend, parades and ceremonies provide us an opportunity to show our respect for those who have served our country in the military and to thank them for that service. We owe our veterans immense gratitude for the sacrifices they made to defend our country, its freedoms, and our way of life. 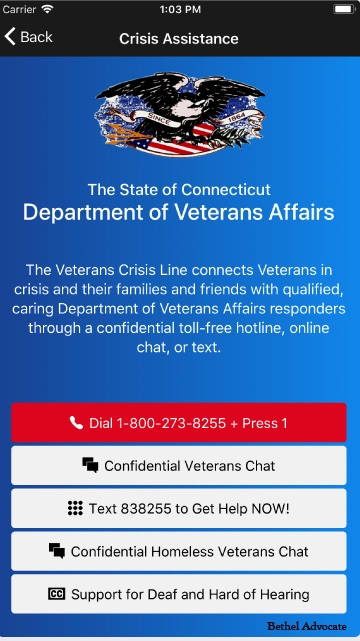 I would like to take this time to let you know about the Connecticut Department of Veterans Affairs mobile app for Apple and Android devices. The app connects veterans and residents to crisis services over the phone, through text message, or online chat. It also includes a list of services available through the app, as well as an interactive map of veterans clinics and hospitals in Connecticut. God bless our veterans and the United States of America.